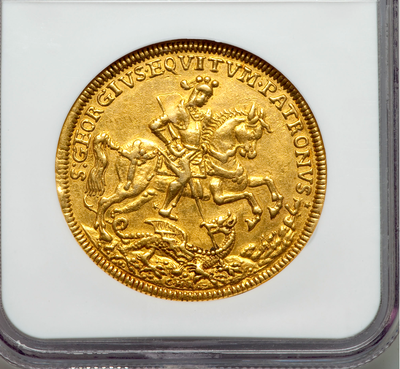 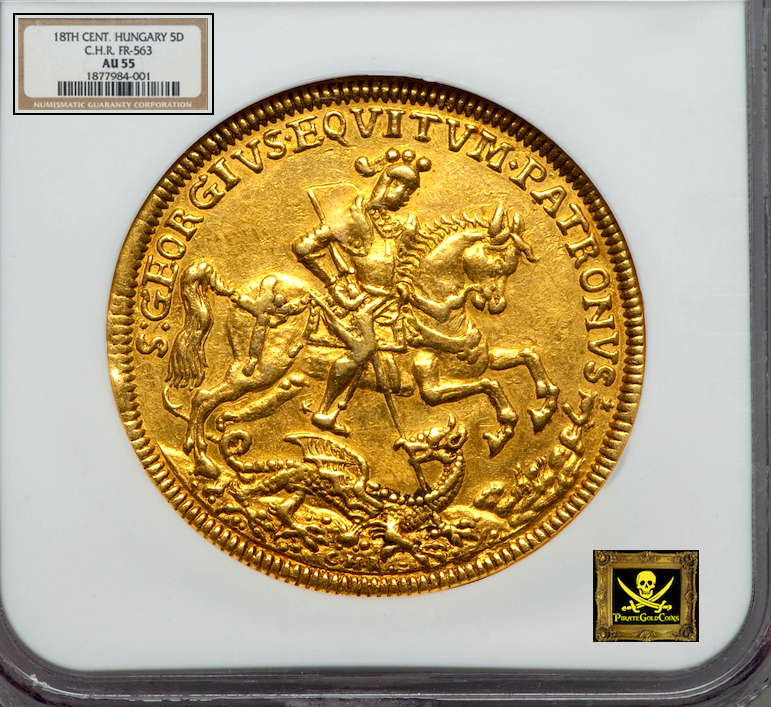 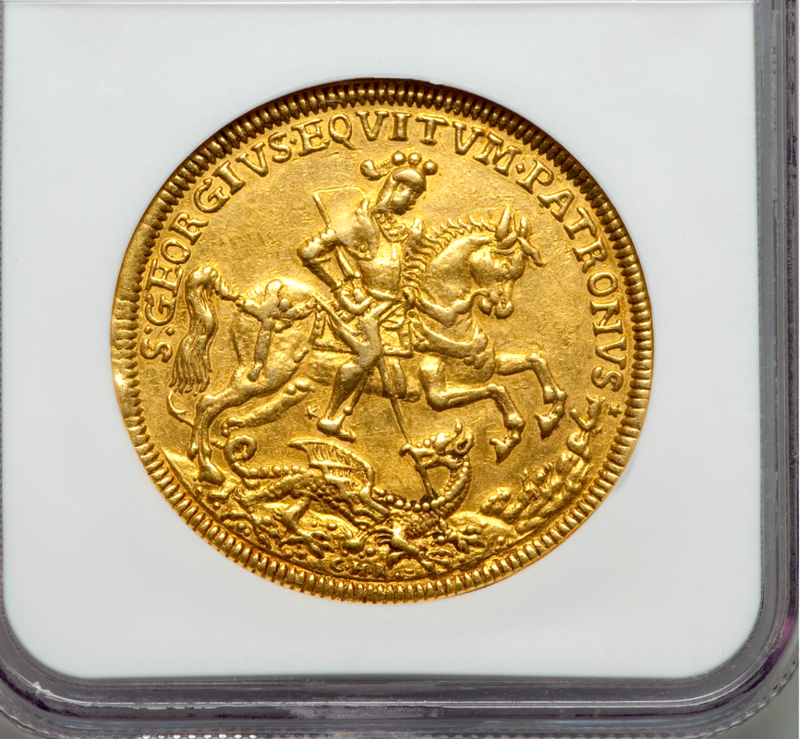 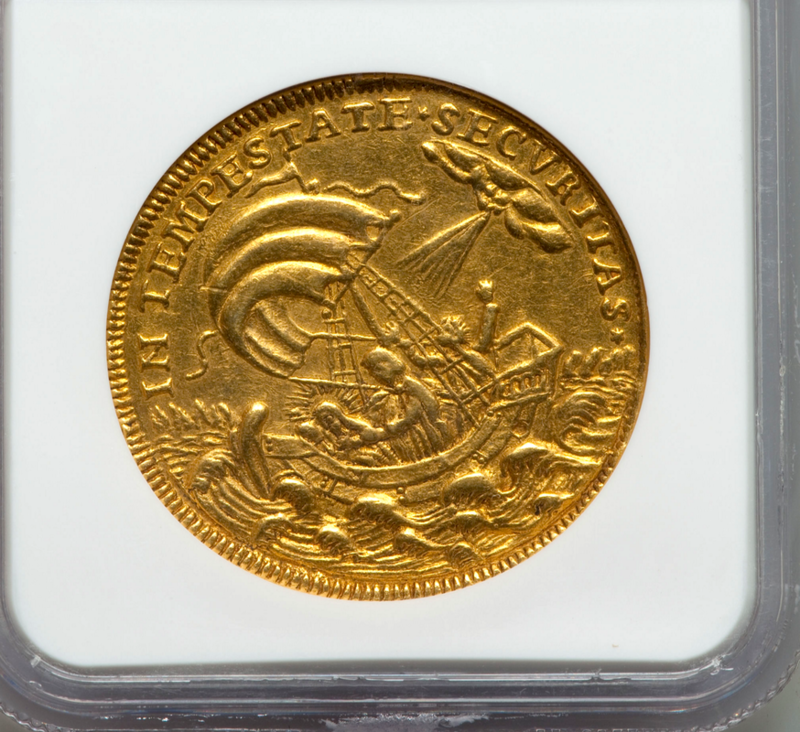 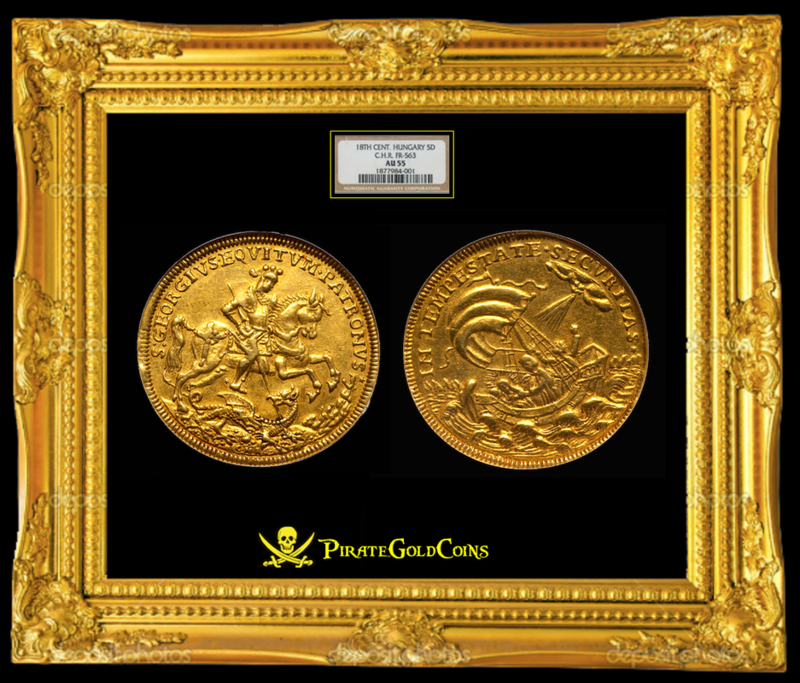 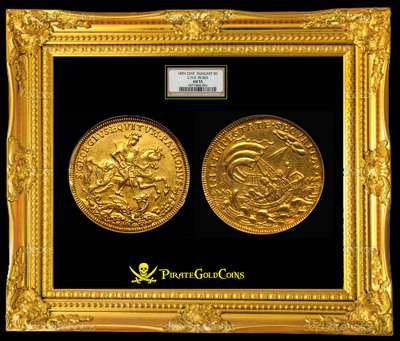 This beautiful Golden 5 Ducat (large) coin (FR-563) is the “ONLY 1 EVER GRADED BY NGC! (that we can find of this Fr# and denomination)” Depicting a Knight (St. George) in full Armor Slaying the Flying Dragon (underneath this depiction is the engraved initials “CHR” - Christian Hermann Roth). The Reverse depicts “JESUS CHRIST” with two apostles in the midst of a horrific storm. 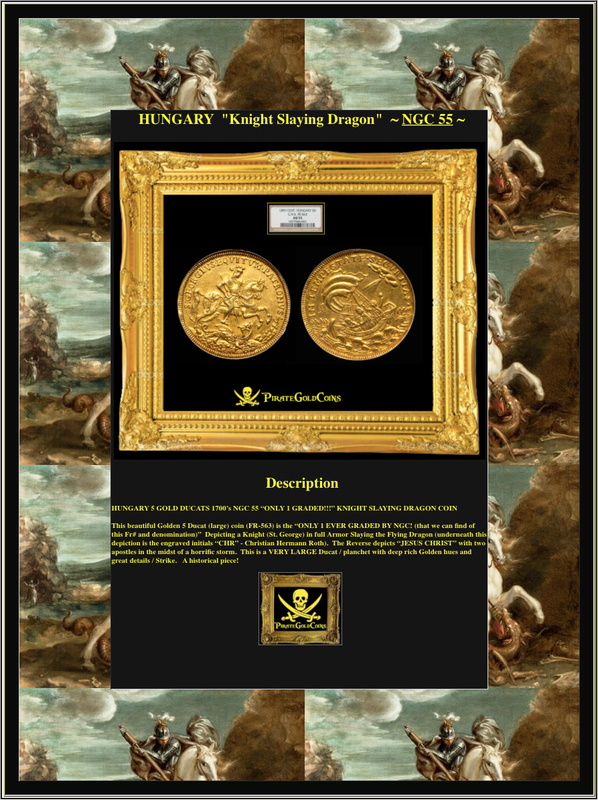 This is a VERY LARGE Ducat / planchet with deep rich Golden hues and great details / Strike. 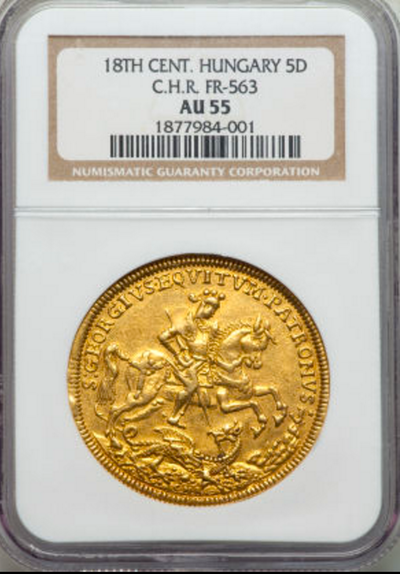 A historical piece!